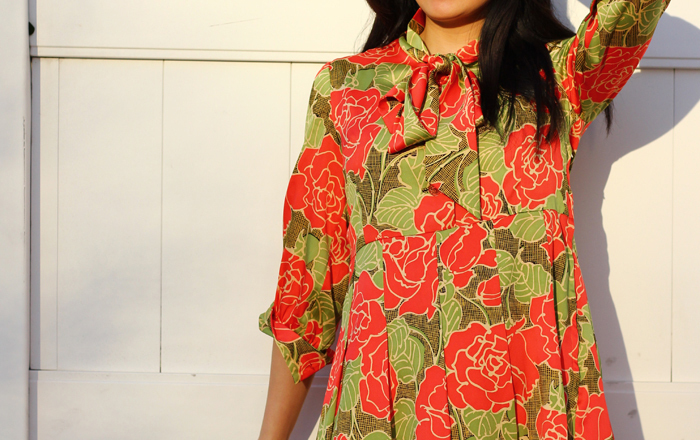 Whenever I go shopping for vintage clothing I always end up wandering to wherever the vintage dresses are. 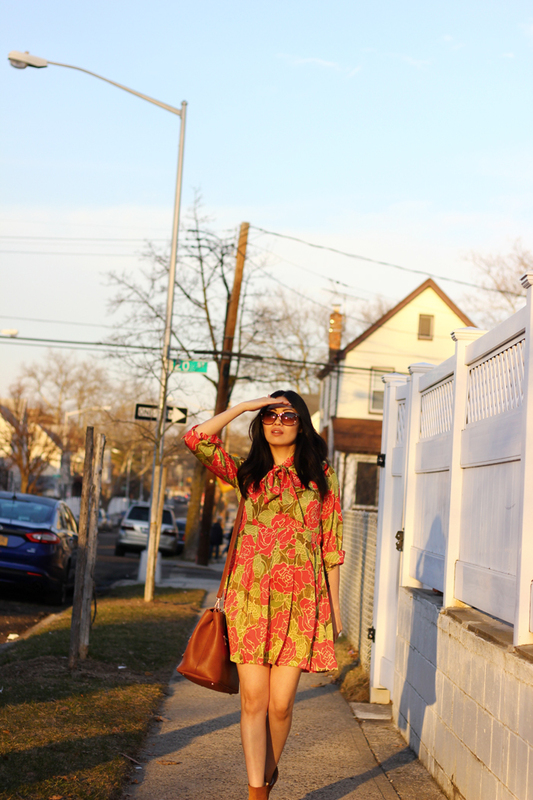 I believe it’s because I think the best investment piece a gal can buy is on a vintage dress that makes a statement. Sure there’s always the coveted statement bag or statement shoes, but for me the statement dress is unforgettable. 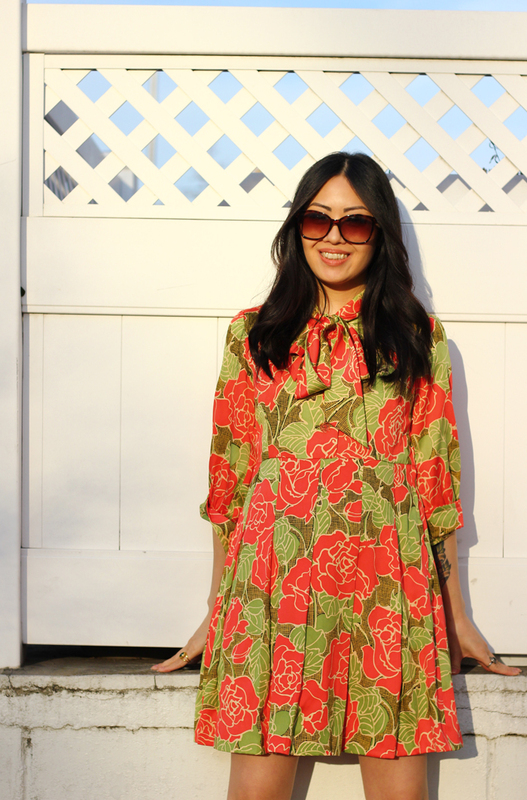 Whenever I’m not sure about what to wear and don’t have a lot of time to go looking through my closet, my mind immediately goes to what vintage dresses I can wear, preferably I think of the ones that have a bold print or a pop of color. Why not go for the classic l.b.d, you may ask? If I’m already uninspired about what to wear, the last thing I want to think about are the multiple accessory options I’d have to choose from to pull the look together—this is especially true if I’m in a rush to get out the door (I must admit, I press the snooze button a tad too much during these early morning Mondays!) 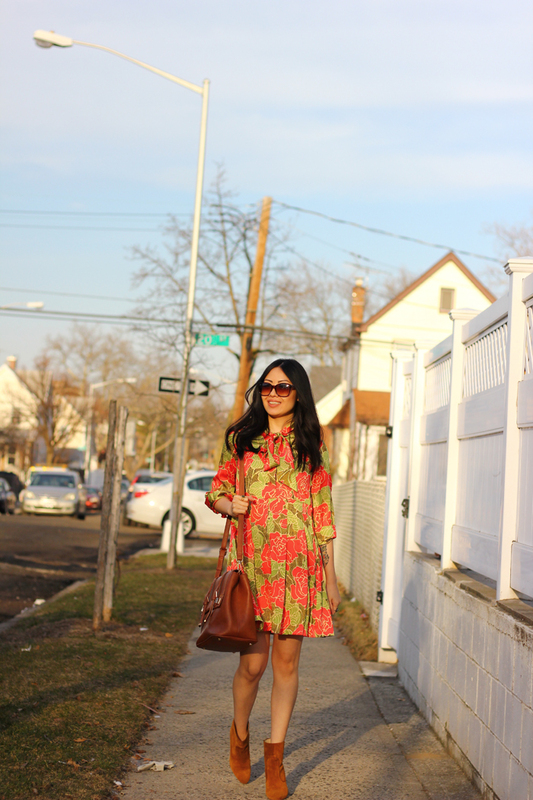 With my vintage statement dress, all I have to do is throw it on, grab my bag and shoes, and I’m ready to go.